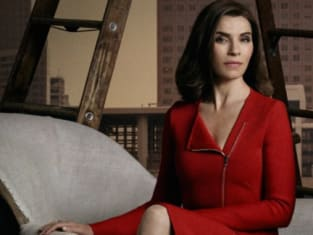 The Good Wife series finale - The creators have admitted that they planned out Alicia getting slapped by someone as the final scene... ever since the first season. They clearly reverse-engineered this finale just for that one moment, coming up with plot points that made no sense and giving us an ending that made the main character look awful. We'd really hoped for better from such a smart, amazing show. Alicia shares an imaginary last kiss with Will Gardner on The Good Wife. "End" is the 22nd episode of the show's seventh and final season. 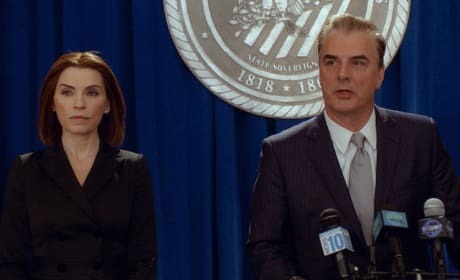 Once again Alicia stands by Peter as he resigns his position on the series finale of The Good Wife. 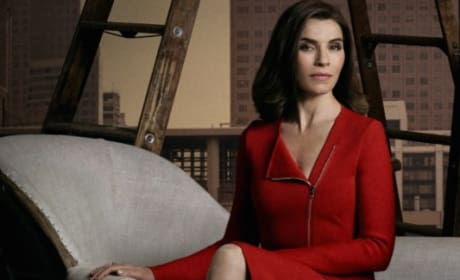 Alicia Florrick has decisions to make on The Good Wife series finale.